I mistyped the title as ‘Pappy the Great Date’. Twice. Think I might be trying to suggest something subconsciously. I was on my way up an escalator when I saw Pappy on the way down the stairs. Priorities, people! I was back at the bottom in a flash. 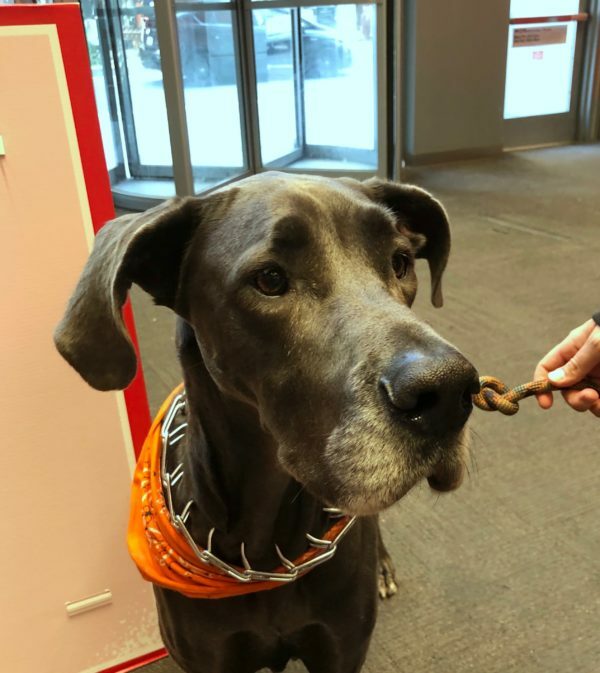 This entry was posted in Dog of the Day and tagged Great Dane, SOMA. Bookmark the permalink.